Family members and supporters of Kenneth Foster, Jr. are jubilant in the reaction to Texas Governor Rick Perry's today's announcement today that he would commute the death sentence of Kenneth Foster, who was convicted under the controversial "Law of Parties" for a 1996 murder in which he had no actual involvement. The Board of Pardons and Paroles had recommened clemency by a vote of 6-1. Foster's execution had been scheduled for tonight. In a statement announcing the commutation, Perry said, "I am concerned about Texas law that allowed capital murder defendants to be tried simultaneously and it is an issue I think the Legislature should examine." Keith Hampton, Foster’s attorney, also expressed relief and happiness at winning his client’s life. Hampton thanked the activists of the grassroots movement that started in Austin and spread around the world for putting the necessary pressure on the Board and the Governor to win. “Extra-legal means work,” he said. Foster’s family and other supporters will continue to work to free him from prison. “It seems like ten years on death row under 23-hour lockdown could amount to time served for any crime that Kenneth ever committed,” Cloud said. Perry’s decision is historic. Not only has the Board of Pardons and Paroles rarely recommended clemency (by one count, 3 times since 1982), but Rick Perry has overseen more executions than any Governor of the State of Texas, including George Bush. 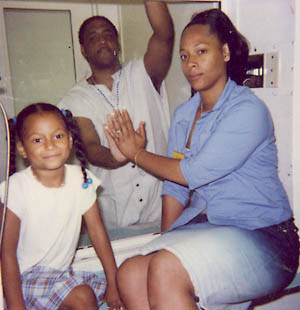 Kenneth Foster with his girlfriend, Nicole Johnson, and their daughter, Nydesha, during a 2001 visit to Texas death row. HOUSTON, Aug. 29 — Kenneth Foster has a date on Thursday with the executioner’s needle. Not for killing anyone himself but for what he was doing — and may have been thinking — the night in 1996 when he was 19 and a sidekick pulled the trigger, killing a 25-year-old San Antonio law student. But unlike most others condemned to death in this state, Mr. Foster, a onetime gang member, aspiring musician and prison poet from San Antonio, is not a murderer in the usual sense. He was convicted and sentenced to die for abetting a killing — 80 feet away — that he may, or may not, have had reason to anticipate. The man who pulled the trigger is dead, executed last year. One accomplice is serving life in prison as a result of a plea bargain, and a second is serving life for a separate murder. Other states hold co-conspirators responsible for each other’s criminal acts in a so-called law of parties. But few of those have a death penalty. And no other state executes them on the scale of Texas. With polls showing capital punishment still enjoying majority support in Texas and around the country, but by dwindling margins, the Foster case has spurred vigils and protests from abroad to the death house in Huntsville, as well as a backlash by victim’s rights advocates who still mourn the slain law student, Michael LaHood Jr. 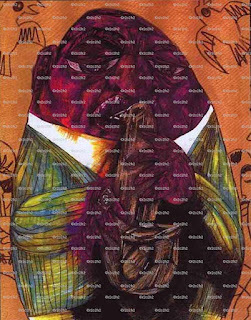 It has also smudged concepts of guilt and innocence. If Mr. Foster is not legally guilty of murder, as his lawyer, Keith S. Hampton, and supporters contend, many find it hard to pronounce him blameless. According to evidence in the case, on the afternoon of Aug. 14, 1996, Mr. Foster had borrowed his grandfather’s rented white Chevy Cavalier and was driving three companions — Julius Steen, Dewayne Dillard, and Mauriceo Brown — on a robbery spree through San Antonio. Mr. Steen and Mr. Brown, with Mr. Dillard’s gun, held up four people. After midnight, they trailed two cars to a street where Mr. LaHood had just driven home, followed by a companion, Mary Patrick. She and Mr. Steen exchanged some remarks. Mr. Brown took the gun, chased Mr. LaHood and shot him dead. Ms. Patrick later characterized it as a robbery. Later Mr. Dillard testified in Mr. Foster’s appeals, claiming that before they reached the LaHood house, Mr. Foster sought to end the night’s spree so he could return the car to his grandfather. Therefore, Mr. Fuller’s lawyer, Mr. Hampton, argued, his client lacked the mindset to be legally culpable for the killing that followed. Mr. Hampton also contended that Mr. Steen and Mr. Dillard were improperly withheld as crucial witnesses, and that mitigating testimony about Mr. Foster’s upbringing was not presented to the jury. “I was in jail at the time he got arrested,” said Kenneth Foster Sr., saying that a strategy of portraying his son as churchgoing and well-raised had backfired. Two years after the devastation of New Orleans highlighted racism and inequality in the US, the disaster continues. New Orleans' health care and education systems are still in crisis. Thousands of units of public housing sit empty. Nearly half the city's population remains displaced. A report released this week by the Institute for Southern Studies reveals that, out of $116 billion in federal Katrina funds allocated, less than 30% has gone towards long-term rebuilding—and half of that 30% remains unspent. The city's criminal justice system, already rated among the worst in the nation by human rights organizations pre-Katrina, continues to be in crisis. After the storm, thousands of prisoners were abandoned in Orleans Parish Prison as the water was rising. 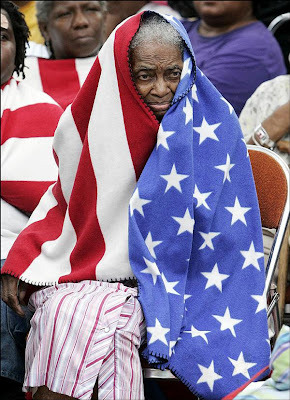 In the days after Katrina, mainstream media depicted the people of New Orleans as looters and criminals, and a makeshift jail in a bus station was the first city function to re-open, just days after the storm. For Robert Goodman, an activist for criminal justice reform who was born and raised in the schools and prisons of Louisiana, this demonizing and criminalization of the survivors was no surprise. He tells me that the primary crisis of New Orleans is a discriminatory and corrupt criminal justice system, adding that, "every time a black child is born in Louisiana, there's already a bed waiting for him at Angola State Prison.". On May 9, 2006, Robert Goodman's brother was killed in an encounter with the New Orleans police. This was another death in a long list of civilian deaths at police hands, a list that also includes three deaths in Orleans Parish Prison this year. Advocates say these deaths have not received proper investigation, and point to larger, systemic problems. For poor Black kids growing up in New Orleans, the education system functions as a school to prison pipeline. In New Orleans, 95% of the detained youth in 1999 were Black. In 2004, Louisiana spent $96,713 to incarcerate each child in detention, and $4,724 to educate a child in the public schools. "When I went to prison, I was illiterate," Goodman tells me. "I didn't even know anything about slavery, about our history." 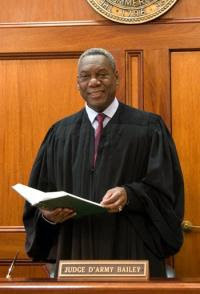 New Orleans' public defense system is in such poor shape that Orleans Parish Criminal District Court Judge Arthur Hunter recently complained that, "indigent defense in New Orleans is unbelievable, unconstitutional, totally lacking the basic professional standards of legal representation, and a mockery of what a criminal justice system should be in a Western civilized nation." Louisiana has the highest incarceration rate of any state in the US – if Louisiana were a country, it would have the highest incarceration rate in the world. Orleans Parish Prison, the city jail, was - pre-Katrina - the eighth largest jail in the US. Advocates complain that there is no forum for oversight over the jail or Marlin Gusman, the criminal Sheriff who oversees it. "We've suffered under a policy where the city builds a huge jail that is then required to be filled with human beings, or else it's a waste of money," states civil rights attorney Mary Howell. Robert Goodman is fighting to change the system that took away his brother, as part of a grassroots organization called Safe Streets Strong Communities. Safe Streets is struggling not just to reform the entire system, from policing and public defense to prison, but also to reframe the debate around these issues. Safe Streets began as a coalition of grassroots activists and organizers from a number of organizations who came together post-Katrina to respond to the immediate crisis. "Our first priority was to help those individuals who had been in Orleans Parish Prison prior to Katrina, many of whom were being held illegally for minor, non-violent offenses," explains co-director Norris Henderson. "In the early days, right after the storm, Safe Streets was basically performing triage for a broken system." In the transition from the crisis of Katrina to the long-term catastrophe that the city is still in, Safe Streets focused their energy on building their base, ensuring that people in communities most affected were shaping the priorities and making the decisions of the organization. The organization has been a vital leader in the struggle for a just recovery for New Orleans. Shortly after Safe Streets began pressuring on the issue, the city's indigent defense board was completely reconstituted and now includes people that actually care about poor people receiving a fair trial. After they turned their focus to issues around policing, the city approved and funded an office of the independent monitor to oversee the police. In addition, the city council has begun looking at downsizing Orleans Parish Prison, as well as reducing the sheriff's budget, and tying it to reform and greater accountability – also a part of Safe Street's strategy. More importantly, they affected the debate around criminal justice in the city. Within a few months after the storm, instead of talk of more prisons, journalists and politicians were looking at the system, and the roots of the problems. Evidence of widespread police misconduct and people locked up for months without charges began to be reported. For those that have been victimized by law enforcement violence, organizing and talking about what they have faced has already been transformative. "I can't imagine where my family would be if it weren't for Safe Streets," Goodman tells me. "We would have been pushed to the side. This organizing inspired my mother to live another day." Jordan Flaherty is an editor of Left Turn Magazine, a journal of grassroots resistance. His previous articles from New Orleans are online at http://www.leftturn.org. To contact Jordan, email: neworleans@leftturn.org. On myspace: http://www.myspace.com/secondlines . 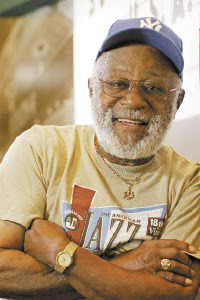 A version of this story originally appeared in the July/August issue of ColorLines Magazine. See a special online collection of Katrina-related reporting at http://www.colorlines.com/. Happy Life Affirmation Day Bird!!! Many of the so-called beat poets such as the under appreciated Bob Kaufman (who performed with Bird while reciting poetry), the celebrated Amiri Baraka, Jack Kerouac, Allen Ginsberg and William Burroughs to painters such as Jackson Pollock, Stuart Davis, William de Kooning, Bob Thompson and 1980s art phenom Jean Michel Basquiat used Bird's musical genius as a muse for their own creative endeavors...Clint Eastwood (a jazz crazy fan) made a movie in 1988 entitled "Bird" (Forrest Whitaker another under appreciated talent until recently did a great job portraying Bird) which showed an interesting perspective on Bird's professional triumphs and personal tragedies...So indeed Bird does Live!!! 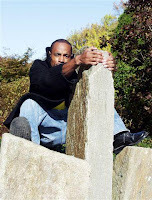 Stop The State Murder Of An Innocent Man On August 30, 2007!!! Free Kenneth Foster!!! Please Go To Http://www.freekenneth.com To Find Out How!!! Jav'lin videoclip "Walk with me"
this. And he did not know anyone was going to be shot that night. ability to predict when a crime is going to happen. of nothing except driving a car. the pattern of the racist American injustice system. executions. It is clear he is not giving up without a fight. demanding his execution be stayed. which goes toward his defense fund. “I write down everything I feel, sometimes that turns into a song. Twenty years ago, Michele Hoskins had left her husband, moved her family back home and was producing pancake syrup in her parents' basement. At first, she made just a little at a time to sell locally to markets in the African-American community in the Chicago area. Today, she sits atop a burgeoning empire as owner of a multimillion-dollar company, Michele Foods, that produces a line of syrups and pancake mix. Michele's Honey Crème Syrup, Butter Pecan Syrup and Maple Crème Syrup and Michele's Gourmet Pancake Mix (as well as a low-carb line) can be found in 10,000 stores nationwide, including Winn-Dixie, Giant, Safeway, Kroger and Super Wal-Mart. 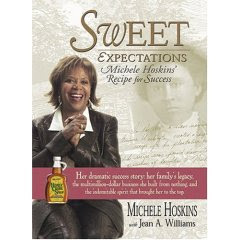 In her book, Sweet Expectations: Michele Hoskins' Recipe For Success, the Chicago native introduces readers to a life sweetened with success and triumph and leavened with challenge and trouble. What Hoskins, president and CEO, offers isn't just any pancake syrup. It comes with an astonishing story. This recipe was passed through the generations from her great-great-grandmother, America Washington, an enslaved woman who created the recipe for the family she worked for. The syrup, in the original recipe, was made of churned butter, cream and honey. Her ancestor stipulated that only the third daughter of each generation could get the secret recipe, something that puzzles Hoskins to this day. And it wasn't just any third daughter. The recipe had to be passed only mother-to-daughter. Her mother won the prize recipe but she had only one daughter — Michele. Hoskins managed to persuade her mother to share the recipe with her. She said that she wanted to pass the recipe to her third daughter, Keisha. Her mother relented. "If I wasn't doing this, I'd still be an entrepreneur," she says. 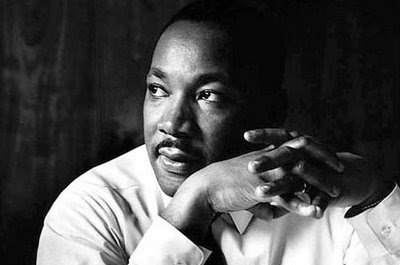 "I visualize America Washington sitting on a porch wondering what to develop. 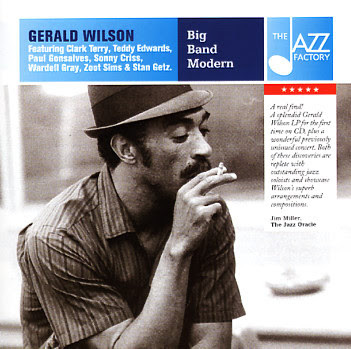 I was reincarnated in America and hoped I would be self-sufficient and a self-starter." Sweet Expectations, written with Chicago journalist Jean Williams, is a folksy primer of business tips that Hoskins honed the hard way. It is also the story of a voyage from uncertainty and poverty to success. Along the way, Hoskins learned how to produce the syrup for mass distribution and figured out the nuts and bolts of business, accounting and other critical elements of running a company. She mowed down or side-stepped racial and gender obstacles to get her product on the market. Little of it was easy. "The difficult part was really not knowing about this business, walking into large corporations trying to sell this product. And I was an African-American woman, not being taken seriously. The hard part was just persevering. I had to keep going because I was on a mission," she says. "Entrepreneurs are risk takers and kind of naïve — not knowing the obstacles ahead. Passion, perseverance and patience — just endure and let the success happen." She writes, in a compelling way, about fear of failure. At one point, she had "a legal fight with my own family for the right to use the recipe as the basis for the business." The conflict, she writes, was resolved and "made us stronger." At another point, Hoskins had a brain tumor removed in emergency surgery. One day, her fear of failure came down to filling out forms to get her product to Jewel stores in Chicago. She was daunted but didn't want to show it. This was her first big sale, and she was determined to look professional. "I took the forms home with me and pored over them, trying to make sense of them," she writes. "I had come too far in this process to screw it up now." She "swallowed her pride" and confessed to the store that she needed help — and got it. •Faith. "My basis and foundation has always been God. My mom told me to turn to Him because we had to have someone to rely on other than other people." •Helping others. She started a national mentoring program, From Recipe to Retail, to help people get great recipes such as cake and jerk chicken to market. •Her ancestor's gift. Through it all, she carries a great deal of respect for the gift that was passed down. 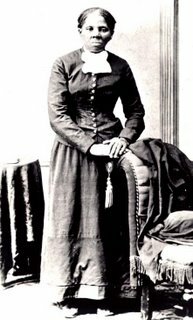 "It's ironic that the legacy started by a slave woman, my ancestor, would help liberate me," she says. 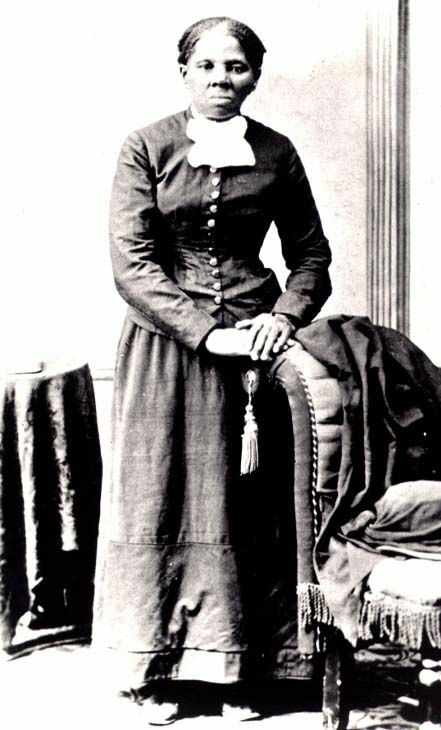 "My great-great-grandmother was calling out to me. It's like she reached out from the past and said, 'I have been waiting for someone to realize that this is more than a recipe.' "
•Leaving a legacy for her three daughters and granddaughter. Hoskins took advantage of programs that encouraged and supported minority- and female-owned companies, rode the wave of expansion of these types of businesses in the late 1980s and early 1990s and gradually built a network of colleagues who assisted and supported her. Hoskins has appeared on The Oprah Winfrey Show three times and has been interviewed in Essence, Black Enterprise and Fortune. For Hoskins, becoming an entrepreneur was "the only game in town." Tune In To Listen To Ms. Michelle Hoskins On Tha Artivist Presents...W.E. A.L.L. B.E. Radio Coming Soon!!! Lunceford Is Our Business On W.E. A.L.L. B.E. Radio..
As a matter of fact the show was sort of a reunion get together for Wilson and Thomas...Wilson played with Mrs. Thomas' brother Andy who played saxophone in the high school band while they both attended Manassas High School...So they have been friends since the 1930s both still alive and strong doing the things that they love or that bring their lives definition and peace of mind everyday!!! Unfortunately Bro. Emerson Able wasn't able to join us on this episode, but I feel that adding that wonderful man to the mix would have made the dish too sweet for consumption...Please continue to listen and be on the look out for more Jimmie Lunceford specials as the time nears for the first annual Jimmie Lunceford Jamboree Festival taking place 0ct. 19-21 in Memphis, Tn!!!! 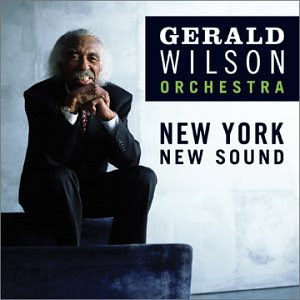 Learn How This Memphis City School Teacher Formed The First High School Band/ Orchestra Band With No Money...Learn How He Took A Band Made Up Of His High School Students And Former College Pals From Fisk University To The Legendary Cotton Club In Harlem , NY And Became A National Sensation, Constantly Beating Bands Like Duke Ellington's, Count Basie's, Benny Goodman's, Woody Herman's, Cab Calloway's and Glenn Miller's!!! One Of The Last Three Surviving Members Of Manassas High School Class Of 1932...She Is A Classical Pianist And Was Taught By Jimmie Lunceford...At 92 Years Young She Is The Last Surviving Memphian To Have Played Music With Lunceford!!! And Don't Forget To Vote Early, Vote Often And Keep On Voting!!! In HIH, my goal was to tell a well plotted book that could transcend the pitfalls of the concept-driven narrative. Translation: I wanted a good story that wasn’t predictable. While the surface topic is Harlem’s gentrification, for me it was really a dialogue about the dangers of belief and fanaticism, written as it was in post 9/11 NYC. 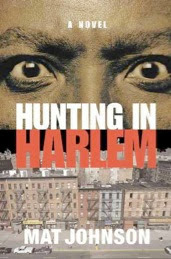 Hunting in Harlem is a satire, but hopefully with moments of tension as well. It is also an in-group discussion about the future of the black community for this first generation to come of age in a post-Civil Rights world. What do we do now that, after centuries of struggle, white people are not our biggest problem anymore? College graduation is usually the time to collect a cap and gown, pick a career, and set foot in the real world. For three graduates, their graduation days will be yet another crash course. Memo reaches out to Seleste, but his recently paroled father pulls his attention another way. Jermaine believes in no secrets in marriage, but after proposing to Cara, she may not be ready to divulge the truth, regardless of what her ex-fling Arnez decides. The wedding is in Atlanta, the graduation is in Chicago, unfinished business is in the boroughs of New York, and news that one of the crew may have AIDS is circulating. How will they cope? Also, feel free to visit http://www.lulu.com/shamontiel to find out more background information on the Sis. 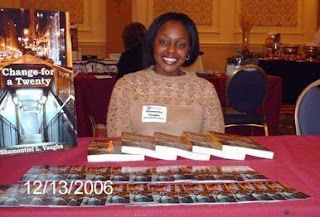 Shamontiel Vaughn and to purchase her books. 2002 Pen/Oakland Josephine Miles Award. 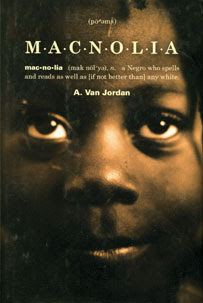 2004 Whiting Writers Award, Anisfield-Wolf Book Award. 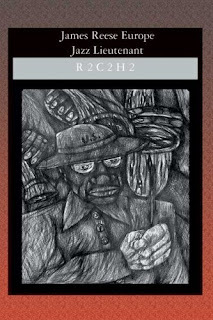 Pushcart Prize, 2006. A. 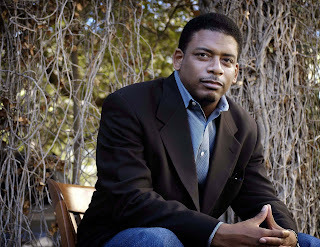 Van Jordan is the author of Rise published by Tia Chucha Press in 2001, and M-A-C-N-O-L-I-A published by WW Norton Co. in 2004. His new book, Quantum Lyrics, is forthcoming from W.W. Norton. Support The Cause And Get Your Autographed Jimmie Lunceford Jamboree Festival Tee Shirt Today!!! 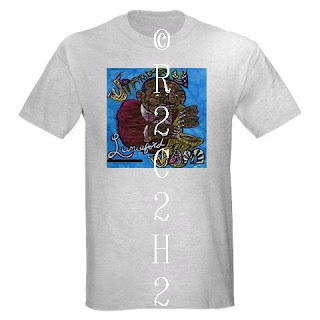 In Order To Help Raise $Funds$ For The Much Anticipated Jimmie Lunceford Jamboree Festival In Memphis, Tn (Oct. 19-21, 2007) We Are Selling Autographed Jimmie Lunceford Jamboree Festival Tee Shirts Made By Yours Truly R2C2H2 Tha Artivist!!! 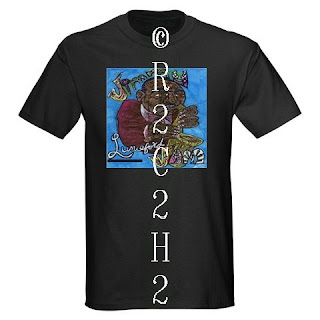 For Just $30 Each Plus $5 Shipping And Handling You Can Get You A Jimmie Lunceford Jam Fest Tee Made And Autographed By The Award Winning R2C2H2 Tha Artivist!!! 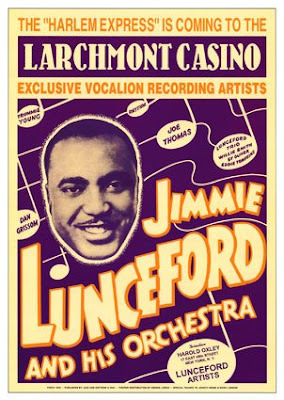 Check Out The Official Jimmie Lunceford Jamboree Festival Website And Find Out How You Can Support The Cause!!! 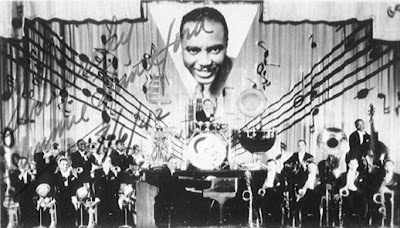 Please Visit The Official Jimmie Lunceford Jamboree Festival Website And Find Out Who Was Jimmie Lunceford And How You Can Support This Historic Movement!!! The Festival Will Take Place Oct. 19-21, 2007 In Memphis,Tn And We Hope You Can Join Us!!! Fireworks In July On W.E. A.L.L. B.E. Radio!!! "Legacies Are For Dead People"